My interest in Disability Ethics is personal as well as professional. 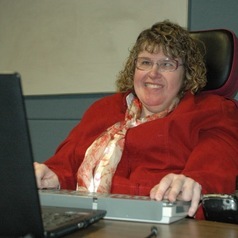 I am an academic who has specialized in the fields of Disability Studies and Disability Ethics for the last twenty years. From 2005 to 2009, I was a Post-Doctoral Fellow with the CIHR-funded Vulnerable Persons and End-of-Life New Emerging Team (VP-NET) Project, which was based at the University of Manitoba and led by Drs. Harvey Chochinov and Deborah Stienstra. I am currently an Adjunct Professor with the John Dossetor Health Ethics Centre at the University of Alberta. I have held this position for the past five years. In addition, I live with severe and multiple disabilities caused by Cerebral Palsy.